However, as we always adapt mobilities to each project, we manage any other possibility of accommodation according to the needs of each group. Life Magenta is located in Gijón, one of the main cities of the Principality of Asturias. This wonderful accommodation is located in a privileged area of ​​Gijón, from where you can quickly move to any of the points of interest in the city. Just 14 minutes walking you will find the most visited beach in the city, San Lorenzo Beach, and less than 6 minutes walking you will be in the center of the city. It is also close to the tourist area and the old part of the city. The accommodation has 9 rooms with their respective bathrooms, a lounge and a classroom for meetings prior reservation and depending on availability. Also, it has two outdoor terraces: one outdoor terrace with possibility to have a drink (around 200 meters) and a small terrace inside the common areas. 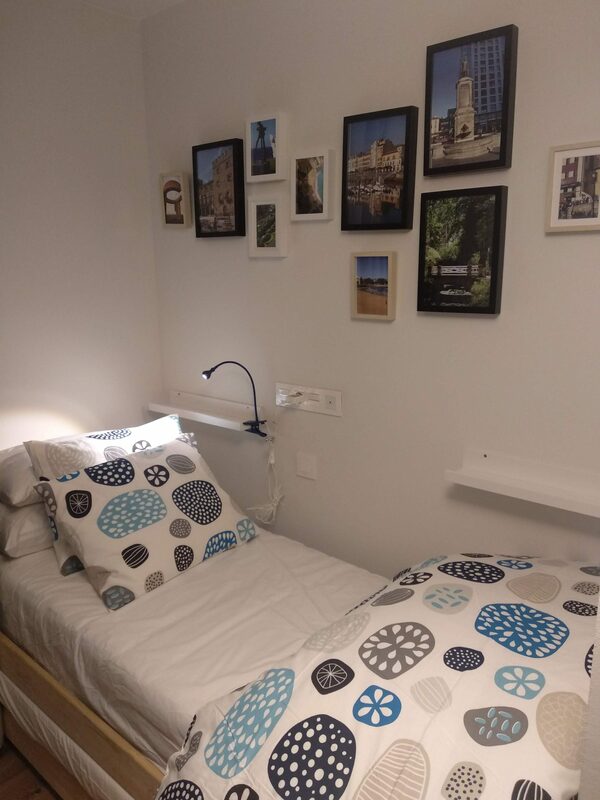 Ovida Residence is located within the City of Oviedo Intergenerational Complex, better known as Ovida, and is located in the new residential area of Montecerrao, just meters from the University of Oviedo. From Ovida it is possible to enjoy the best views of the Cantabrian Mountains and valleys of Asturias. Among other services it has minimarket kiosk, heated pool, gym, library, reading and tv rooms, common areas, sports field, etc. Silken Ciudad Gijón is a four stars hotel located in a modern architecture building rising up in the city of Gijón, 500 m far from one of its 3 beaches and from the sport port. The hotel has café, restaurant, modular meeting rooms with a combined capacity for 1,200 people, business centre, executive storey, wellness centre, equipped with a gym, saunas and heated pools, a garage and a spacious terrace. It is situated in a strategic location enables quick and easy access from Asturias Airport, 36 Km away. Likewise, it is near the bus and railway stations (the latter just 100 metres from the hotel).